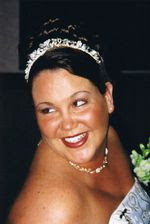 Melanoma Angel - Rachel's Story: Melanoma News, Videos, and Links, etc. I know that has to scare some of you, and it should. No tan is worth dying so young. This is just a short list of links; do a Google search on Melanoma or Melanoma Statistics and you will find literally thousands of pages. One thing I do have to say in closing is a warm and heart-felt thank you to all of Rachel's caretakers at UPMC (Hillman Cancer Center and Shadyside), including her oncology team; Dr. Tarhini, Dr. Appleman, Jan, and Pam, Chuck and the nurses of CTRC; also the fine nurses over at 5-Pav; the Lindas, the Lauras, Faith, and of course Diana. Rachel's mom and I made a trip down there today to tell them how thankful we were for the treatment, the care, the work, the love, and the compassion all of you showed Rachel. You all truly became family to us. I will be posting more in the near future talking about home health care, Hospice, and the amazing folks that work for those companies. They are people who are not normally thought of until it is too late. Hospice to many means a death sentence; it is not. But they are such a special group of indiviuals that make the job of family caretakers so much more managable. God bless you Linda(s) from UPMC Jefferson, Pam, Sabrina, Danielle, and all of the fine folks at Southern Care. I will also be posting a few tidbits about lymphedema, a very much unknown condition often brought on by cancer treatments and surgeries. There are very special people like those at TuDor Physical Therapy that assist those that are aflicted with lymphedema. Keep checking this blog for more stories, memories, education, warnings, and other things I think Rachel would want me to get out to all of you. Lately, my friends and family are trying to get our story put out on a nation and even international forum, like talk shows and news shows. Please, pass the word of our story and her struggle. The more people we can save through Rachel's life and death, the better! I found your blog on Miss Melanoma's site. I am a 35 year old melanoma survivor and I read your blog through tears. It is devastating to learn of a warrior lost. My heart aches for you and your family and thank you for your continued efforts to educate others on melanoma.